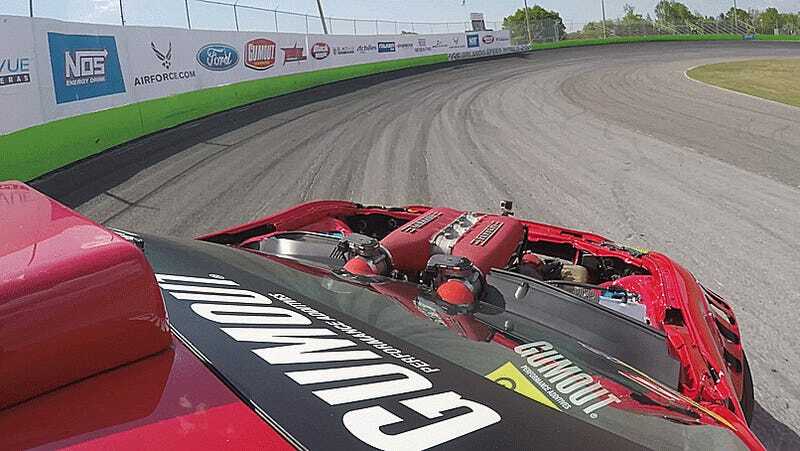 Every time I see Ryan Tuerck’s epic Toyota GT86 with the V8 from a Ferrari 458 stuffed into its hood, I still can’t believe how cool it is. It’s the insane drift build that just won’t quit, but let’s face it: if I had a 458 engine swapped into anything, I’d hoon it all the time, too. 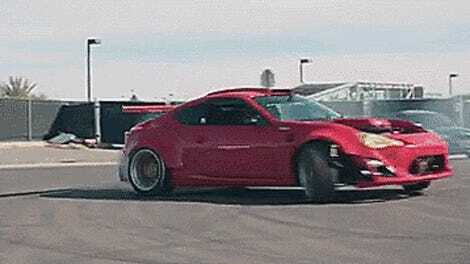 Here’s Tuerck hooning some more between Formula Drift practice sessions in Orlando. Not only does the GT4586's engine note sound like God ate bees for lunch and He is MAD, but it looks even more hilarious with the hood off. I think I like this build even better with that bright red Ferrari engine sticking out for all to see. Look! Look at this seemingly out of place ridiculousness! See that it works, and it is good! More ludicrous engine swaps, please.